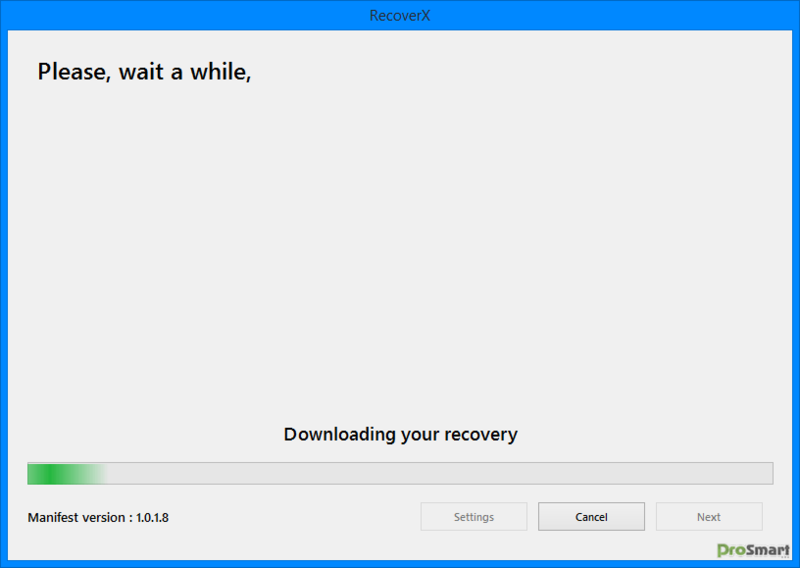 RecoveRx - download in one click. Virus free. Download the latest version of RecoveRx with just one click, without registration. It comes with a safe official offline installer for RecoveRx. 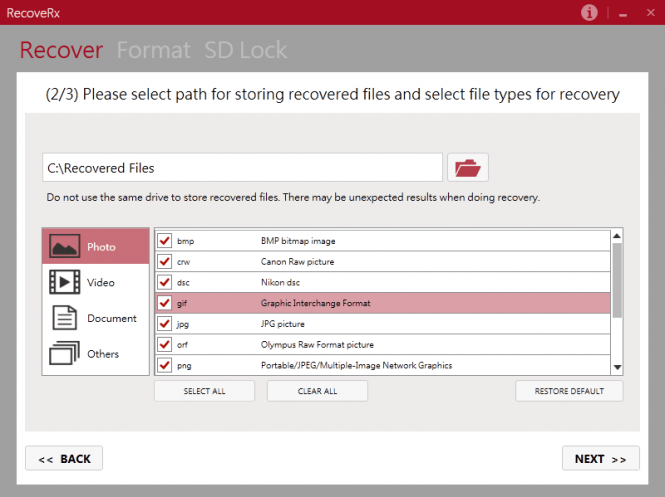 RecoveRx is a tool for file restoration characterized by a wide range of supported devices and the overall simplicity of use. Supported devices include formatted Flash drives, SSD, SD memory cards, MP3 players, USB drives, external and regular hard drives and many other types of hardware. You simply need to plug the source drive in, then start the application. It has a very simple interface that lets you access the features of the program, namely scanning, previewing and saving files. The process is very easy to complete, seeing as how the application basically holds your hand at every step. First, you select the type of device, then you initiate scanning. There is an option to select file type to sort through everything a scan could find and select particular files you need. The recovery process itself is fast and stable, with its speed dependent mostly on the hardware. All the files you chose to recover are saved in a designated folder. RecoveRx also has several additional features such as setting up a lock on SD devices and formatting the devices for space optimization. Both are nothing special, but work competently enough to turn the program into a basic optimization and protection tool. RecoveRx for Windows 10 is a nice little tool that, surprisingly, can turn out to be a very competent optimization tool for drives and disks.